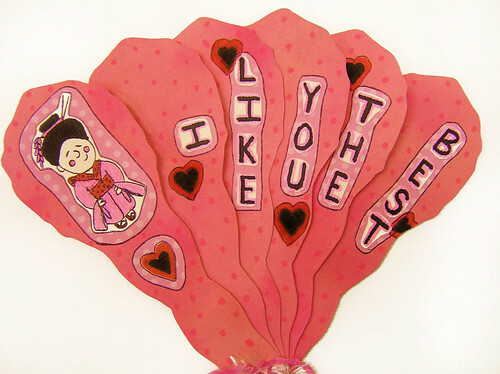 Geisha Fan Valentine and Butterflies! Made from recycled coffee filters (which I dyed pink). The filters were then attached to pink cardstock for more stability. The geisha is an original drawing, on watercolor paper. Accented with pink polka-dot scrapbook paper. Each fan blade is held together with wine striped ribbon. 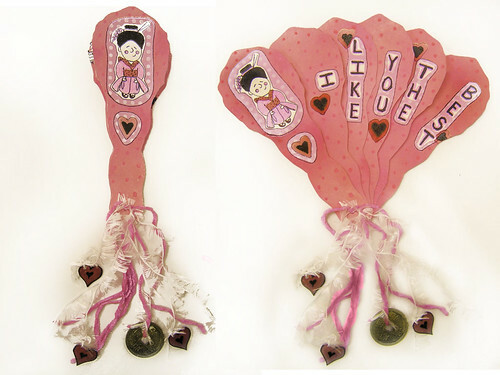 The tassle of the fan is made with pink and white fibers. 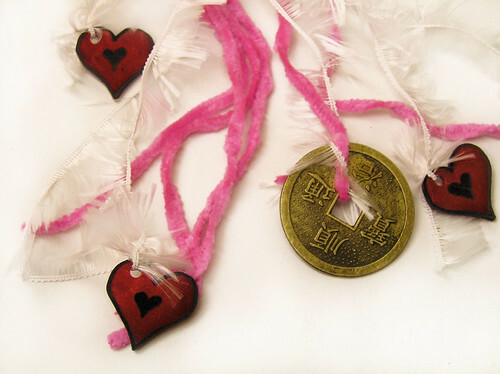 Attched are shrink plastic hearts and a reused japanese coin which I got out of my coin collection. Fibers are attached to the fan with a pink heart brad, which also allows the fan to open and close. I wanted to do something different from the standard rectangle cards with frilly lace and glitter. 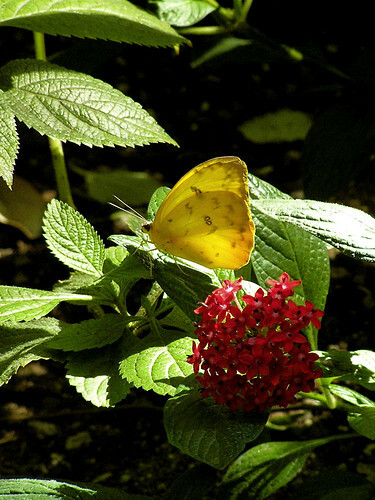 I also just listed this butterfly photo in my shop. It makes me think of spring, even with the freezing cold and blowing snow we’re having right now! The results of the Upcycle contest on Etsy should be announced on Friday, February 2nd. Why does 24 hours seem so far away? Can’t wait to see the winners!